Smile Confidently! 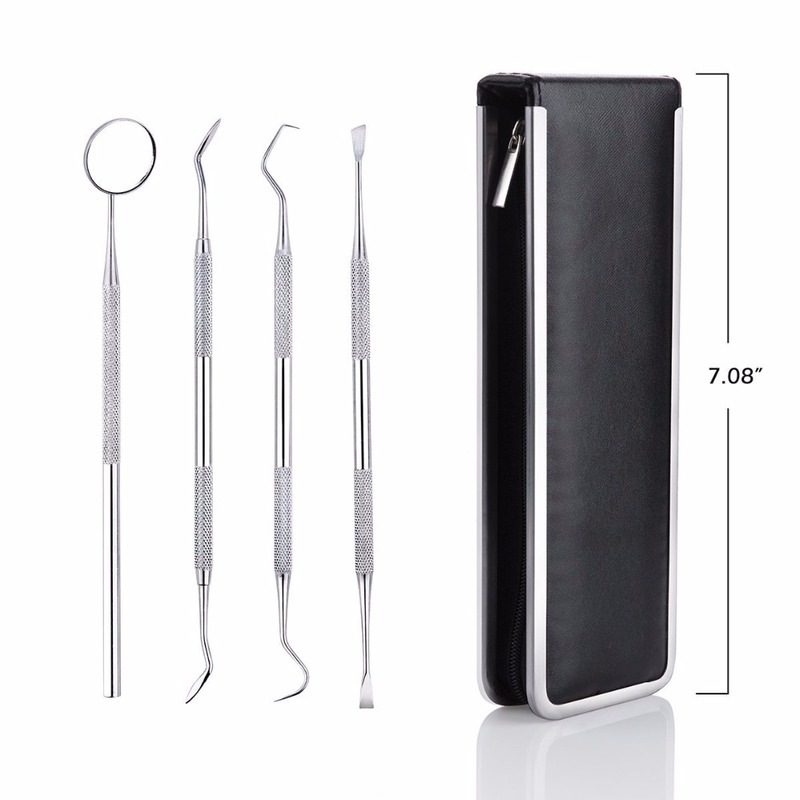 This Kit includes all 4 Essential Tools needed to keep your Oral Hygiene in Top Shape! 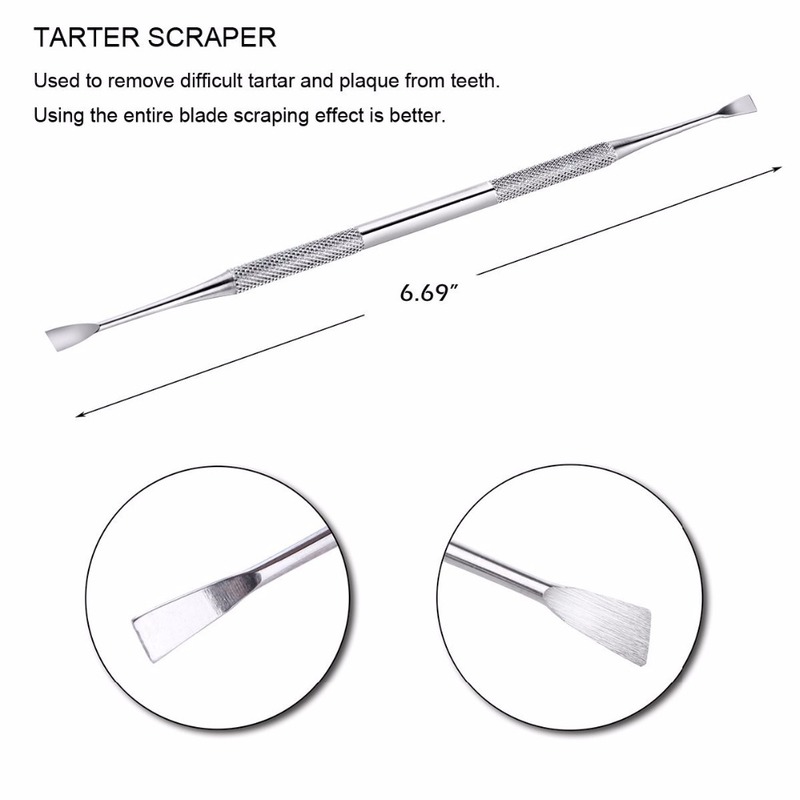 Each tool has been carefully crafted with High Quality Surgical Grade Stainless Steel unlike other cheap alternatives on the market that rust easily and often. 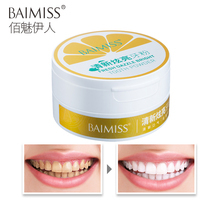 The Best Solution for Easy Teeth and Gum Care! The International Dental Hygiene Tools are easy to use and great for Dentists, Orthodontists, and Hygiene Enthusiasts! 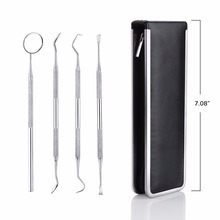 Take care of your teeth like a professional by keeping this kit in handy as your teeth deserve the best care possible! 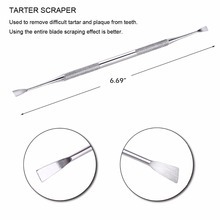 These Dental Tools are pet-friendly as well! 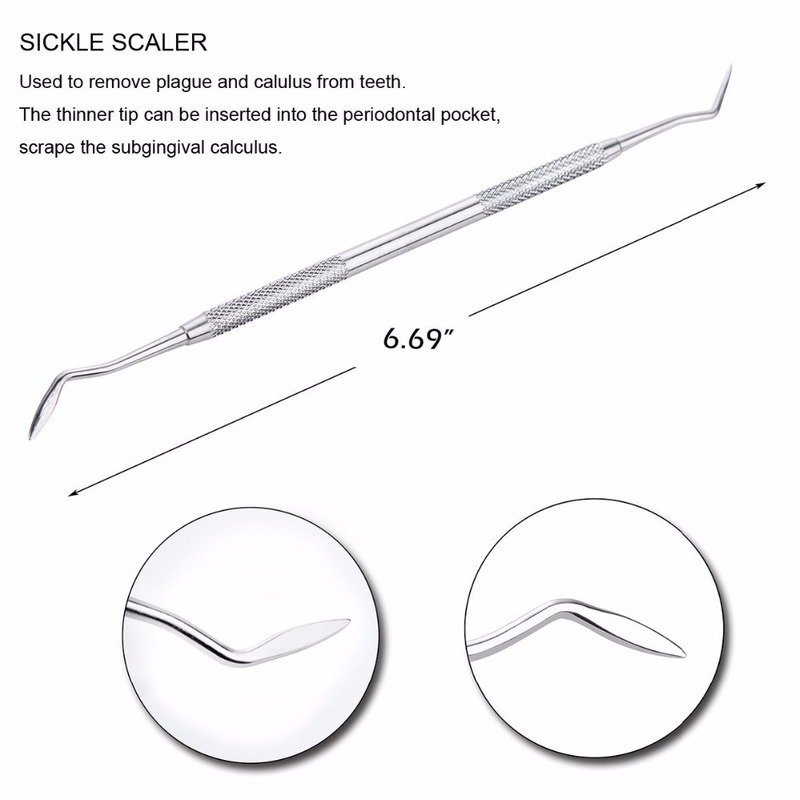 ERGONOMIC – Bacteria builds up easily on and in-between your teeth such as Plaque and Tarter. What many don’t know is that simply brushing and flossing teeth barely removes any of those unwanted debris and germs! 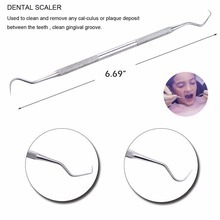 But have no fear, as the FAMILIFE International Dental Hygiene Tools have been designed to target and remove any and all kinds of bacteria! 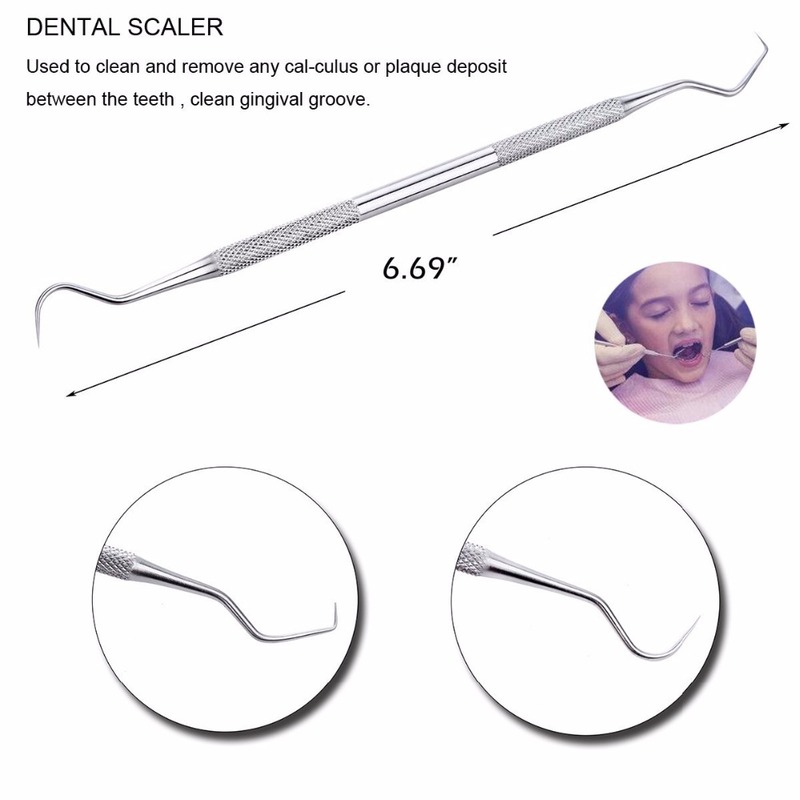 BEST VALUE – Save your self a costly trip to the local Dentist! 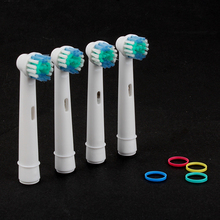 For a very affordable price you can smile confidently knowing you own and use the #1 Dental Hygiene Kit! 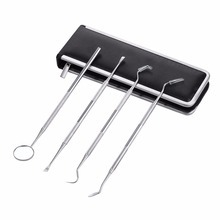 This 4 pc Kit includes 1 Dental Mirror, 1 Dental Pick, 1 Dental Tartar Scraper and 1 Dental Sickle Scaler. Also comes in a nice leather zipper pouch for easy carrying and great for gifting! 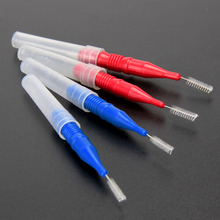 Reusable after high temperature disinfection. 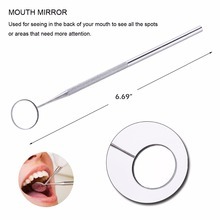 Can be used for oral examination. 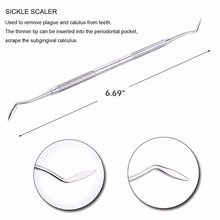 Suitable for both professional dentists and personal use in oral and dental care.